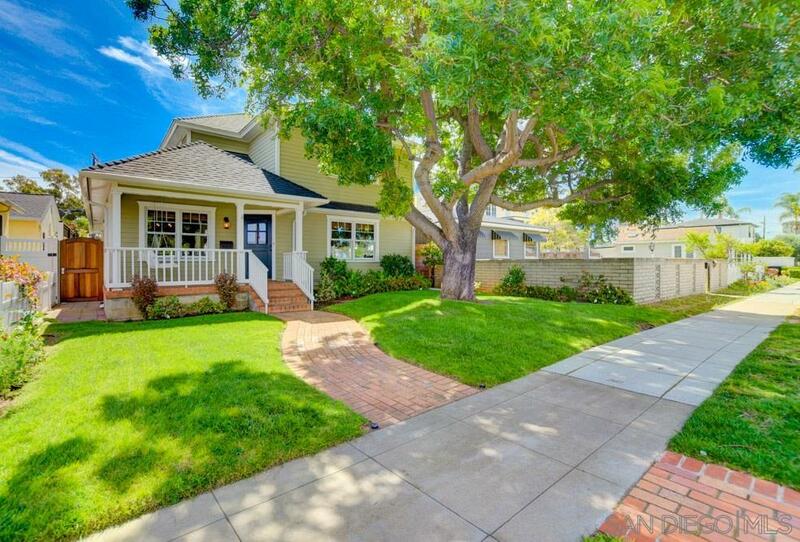 Beautiful charming Coronado family home. Enjoy your porch swing overlooking the front yard. This home was fully remodeled in 2010, master bedroom & bath, gorgeous gourmet kitchen with a breakfast area, full dining room, living room and half bath on the first floor. Two oversized bedrooms, full bath and large laundry room/office on the second floor. Backyard has a great patio for entertaining, garage and large yard, perfect for your kids, pets & garden. There's plenty of space to build a guest house too!, Garage is another additional 378 sq ft.